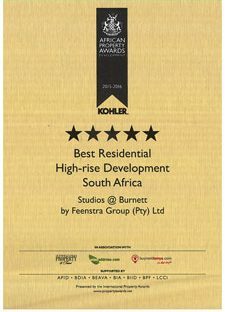 FEENSTRA GROUP (PTY) LTD has been awarded three 5 Star African Property Awards as announced during the event ceremony held at the JW Marriott Marquis Hotel in Dubai on Thursday, November 12th, 2015. 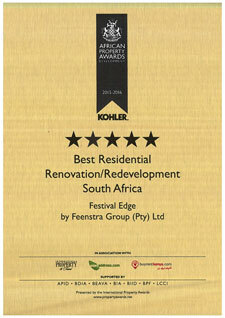 Festival Edge in conjunction with MidCity Property Services (Pty) Ltd(Residential Renovation / Redevelopment) projects. Feenstra Group will go forward to represent Africa in the 2015-2016 International Property Awards in London on December 7th, 2015 whereby Feenstra Group will compete against other regional winners from Arabia, Europe, Canada, the Caribbean, USA, Central & South America, the UK and Asia Pacific to find the ultimate World’s Best in each category. 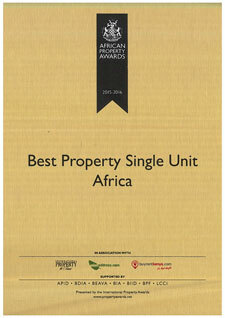 In its quest to discover the best developers in Africa, the International Property Awards in London invited development companies to present their finest work. 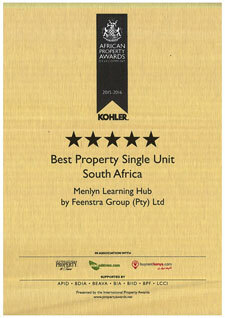 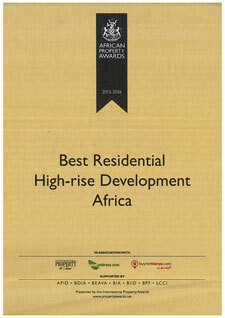 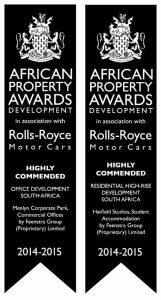 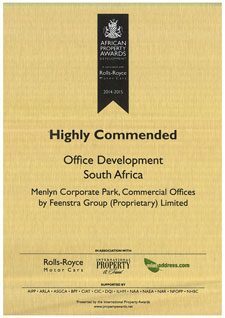 The judging committee chaired by three members of the House of Lords scrutinised hundreds of entries and FEENSTRA GROUP (PTY) LTD won a HIGHLY COMMENDED African Property Award for Residential Office for its Menlyn Corporate Park project as well as for Residential High-Rise for its Hatfield Studios project. 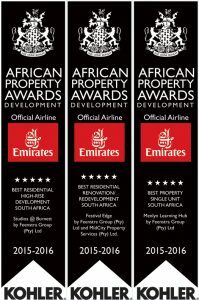 In May 2015, The South African Property Owners Association Convention addressed the latest trends, challenges and prospects in the sector, highlighted and showcased the sheer hard work, the raw talent and the sterling achievements that encompasses the South African real estate industry on a daily basis. 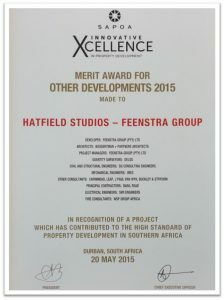 During the 2015 SAPOA Innovative Excellence Award Ceremony, The Feenstra Group has won a Merit Award in recognition of a Project which has contributed to the high standard of Property Development in Southern Africa. 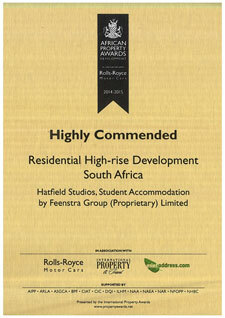 This Project is Hatfield Studios.